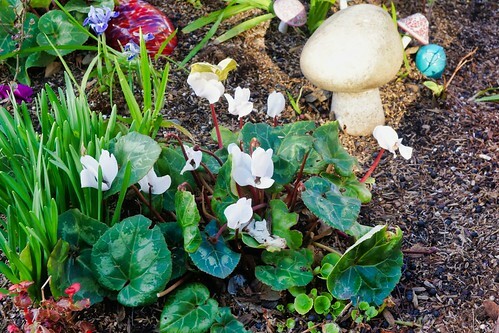 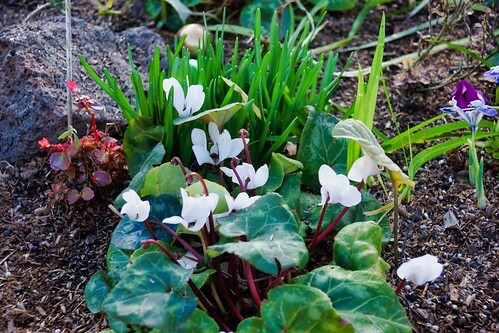 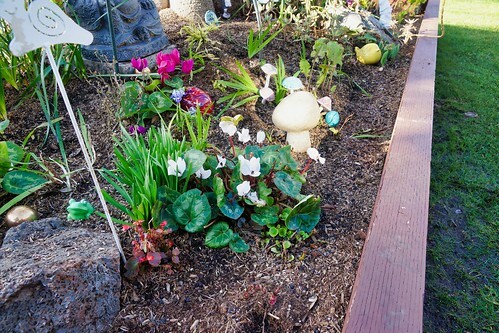 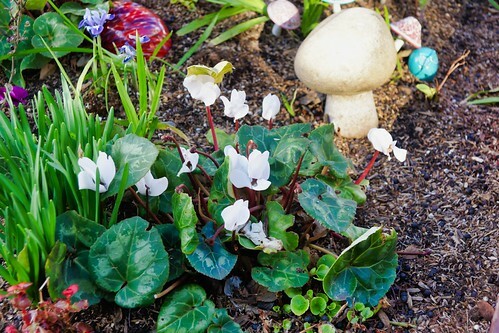 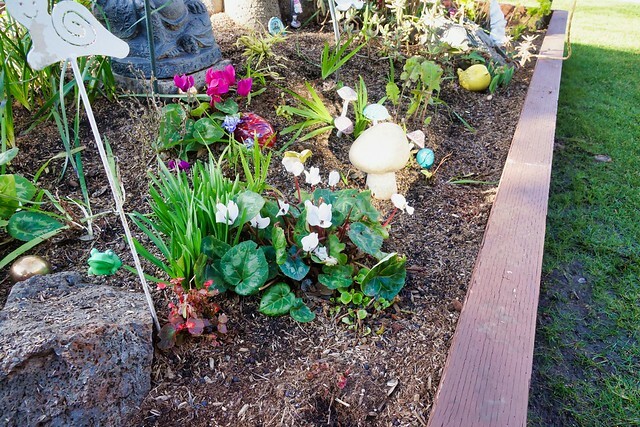 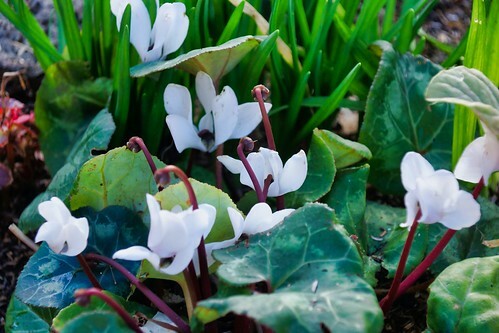 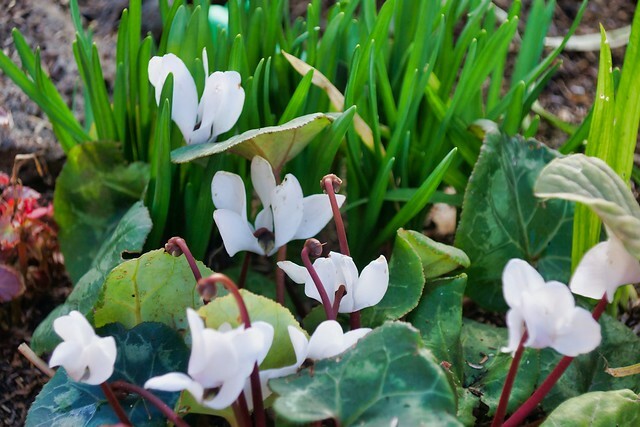 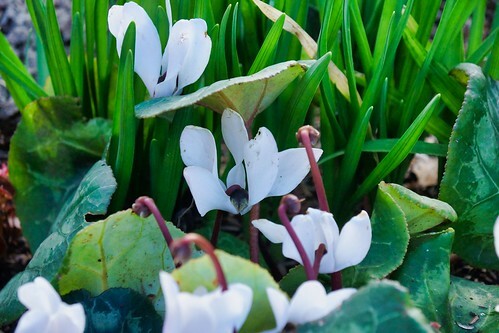 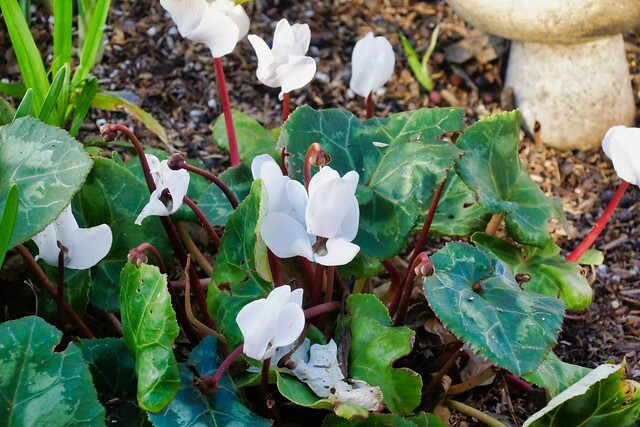 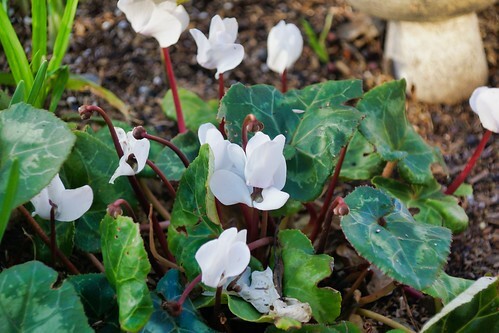 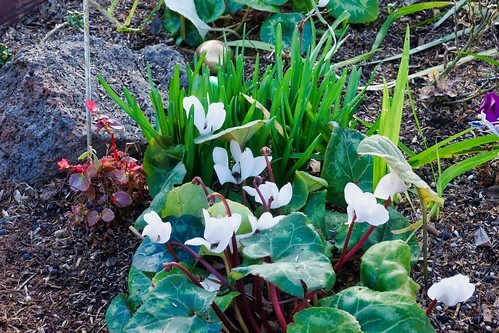 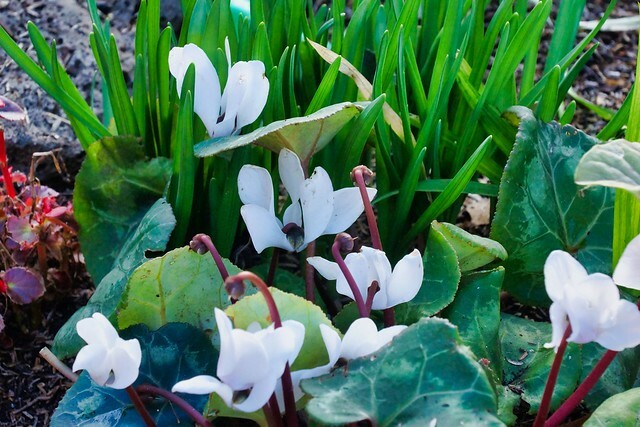 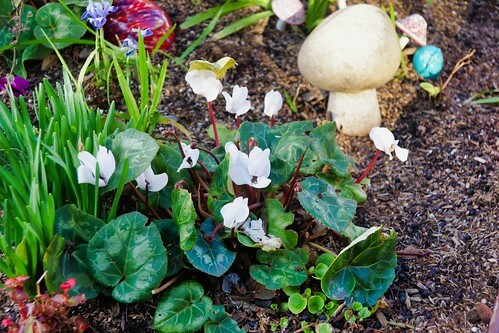 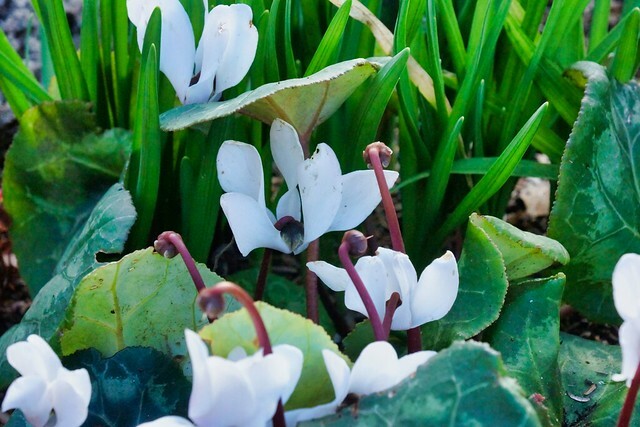 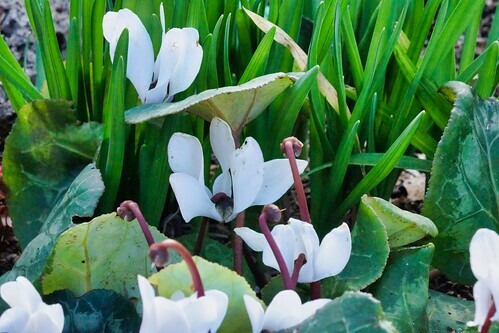 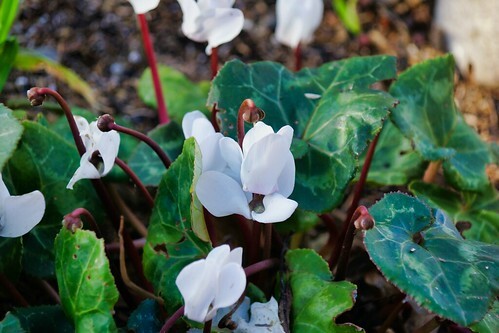 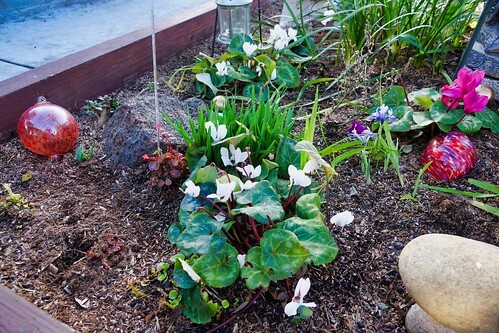 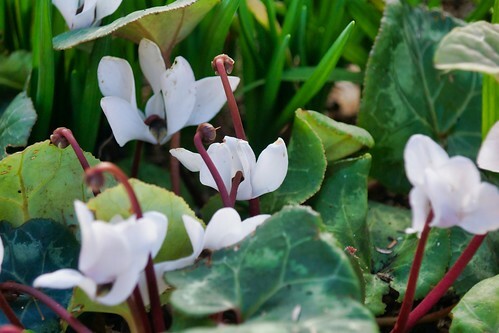 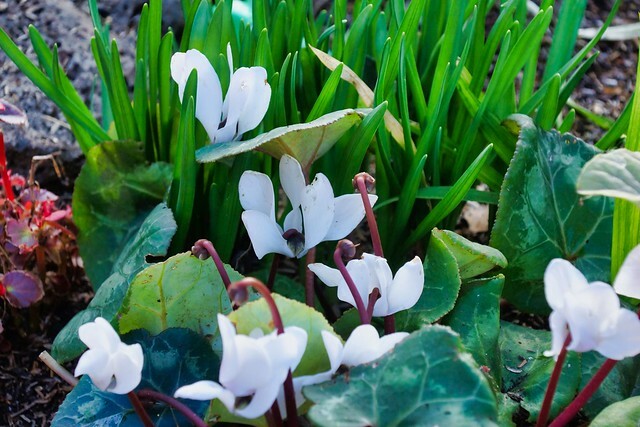 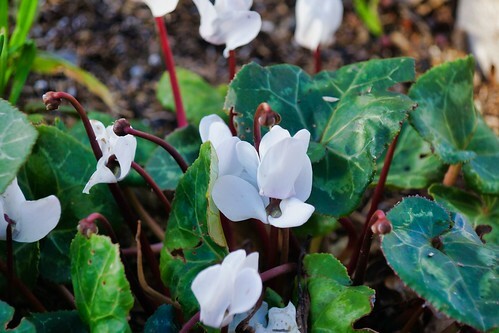 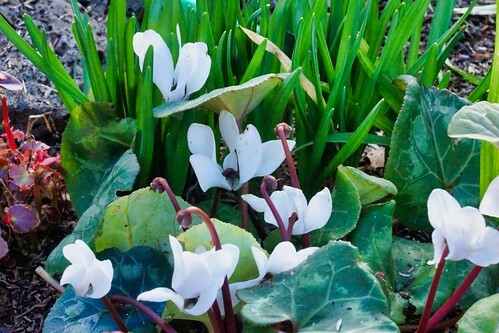 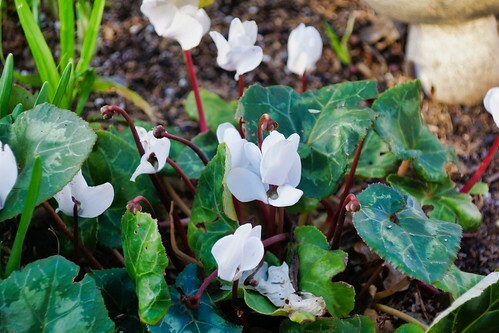 Today’s subject was the White Cyclamen in our backyard. 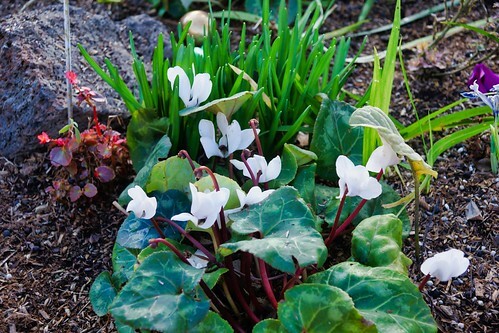 Yesterday’s set was about the Red Cyclamen. 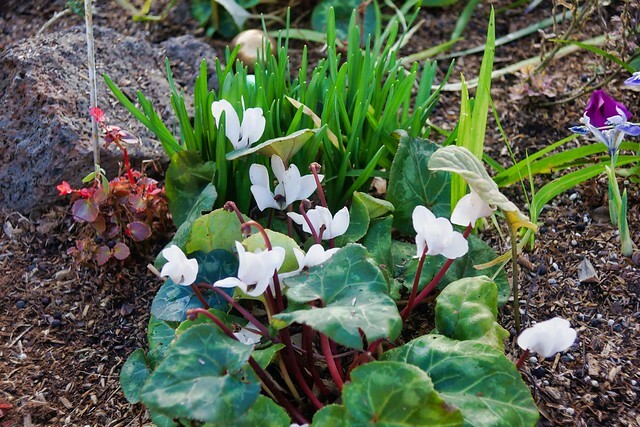 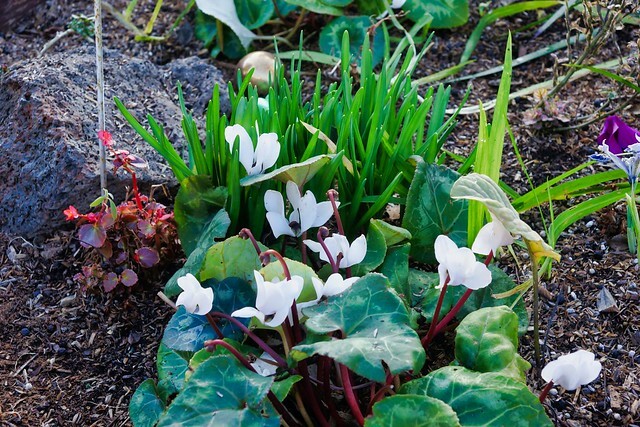 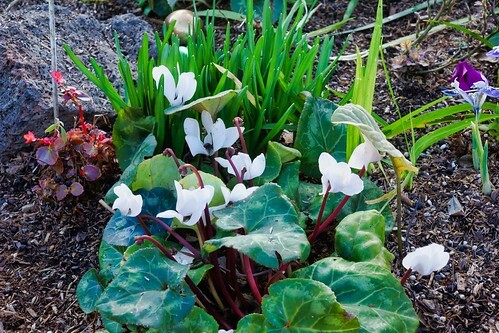 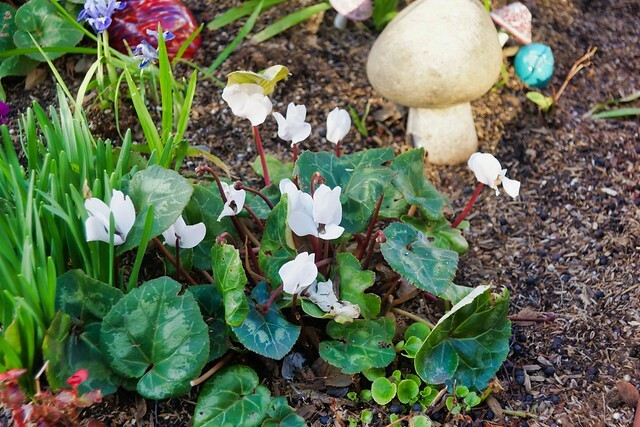 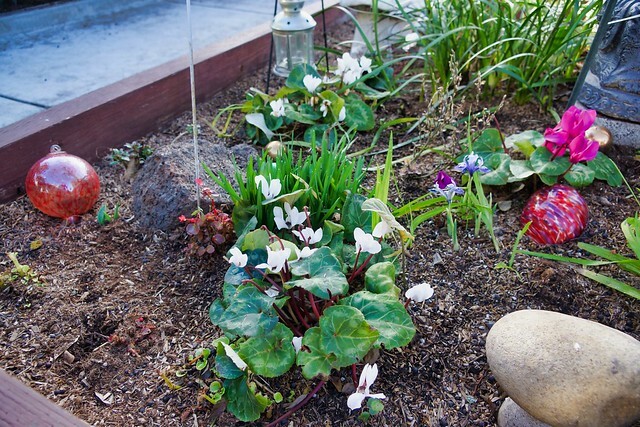 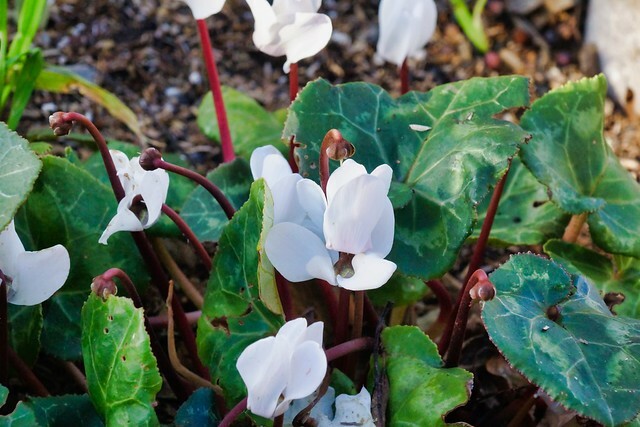 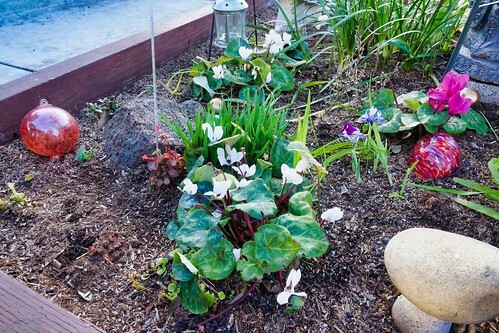 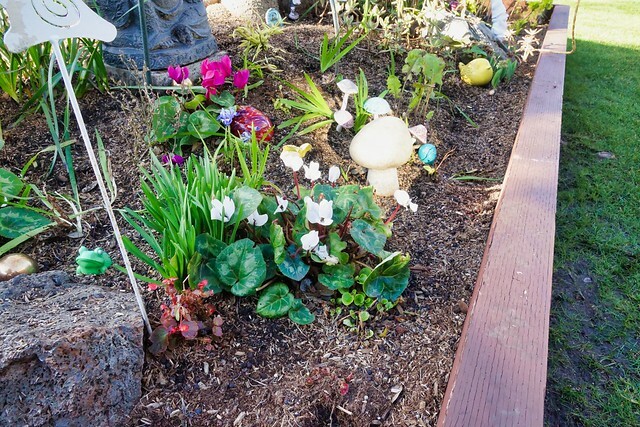 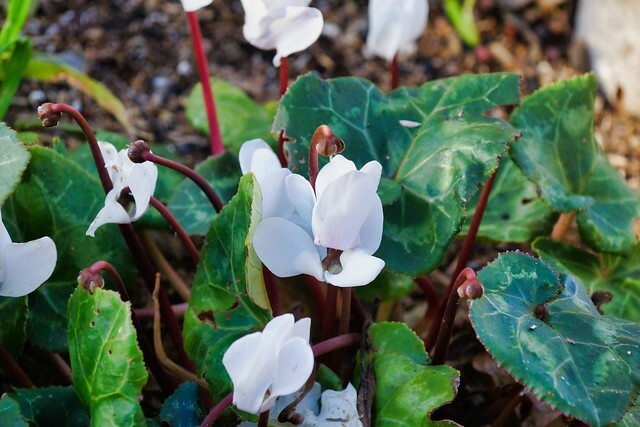 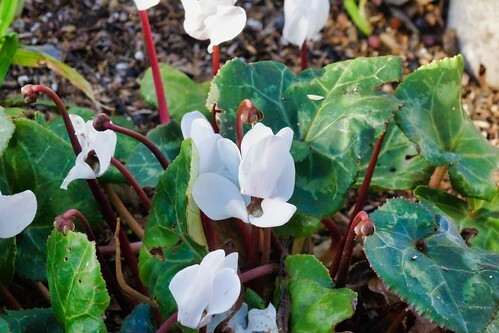 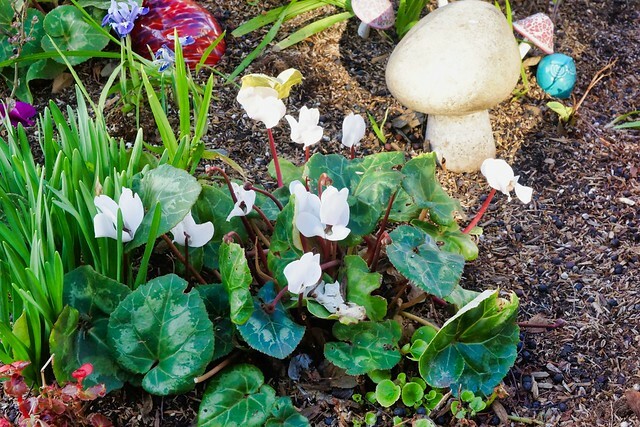 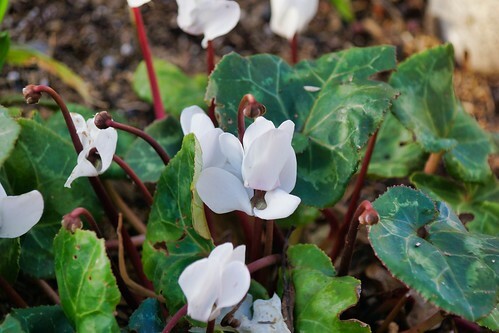 The Cyclamen is part of the primrose family of flowers. As before, I used the Auto+, Program, and Aperture Modes for each set with four different f-stops and focal lengths. 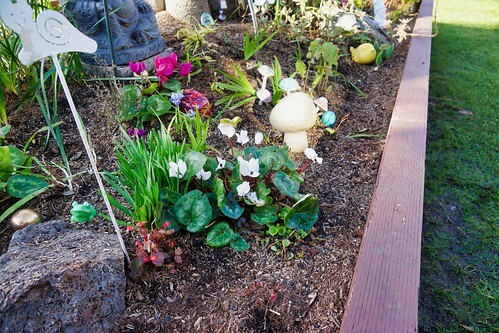 This gives me enough photos to figure out which combination of settings does what and which to use in the future. 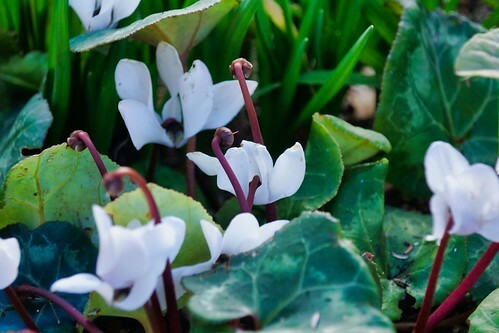 Today I used two different directions for shooting.